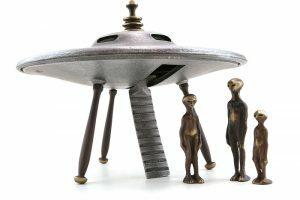 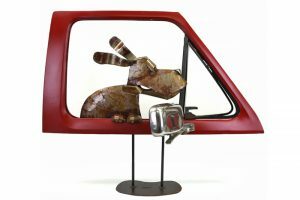 Elizabeth grew up in Orange County, California and is a sculptor and painter. 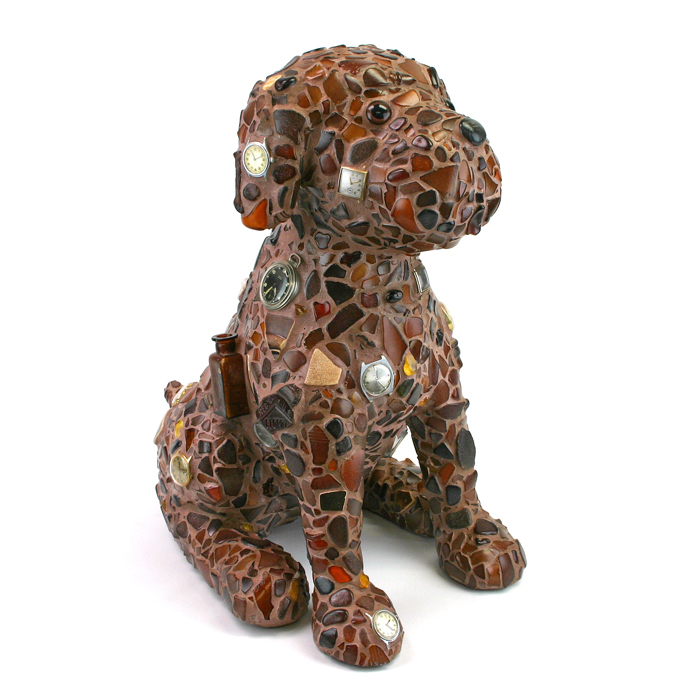 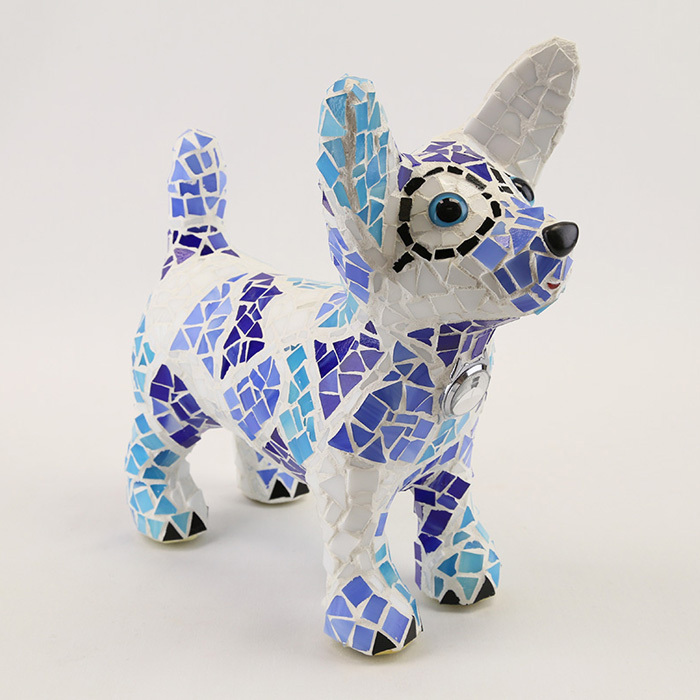 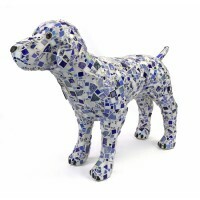 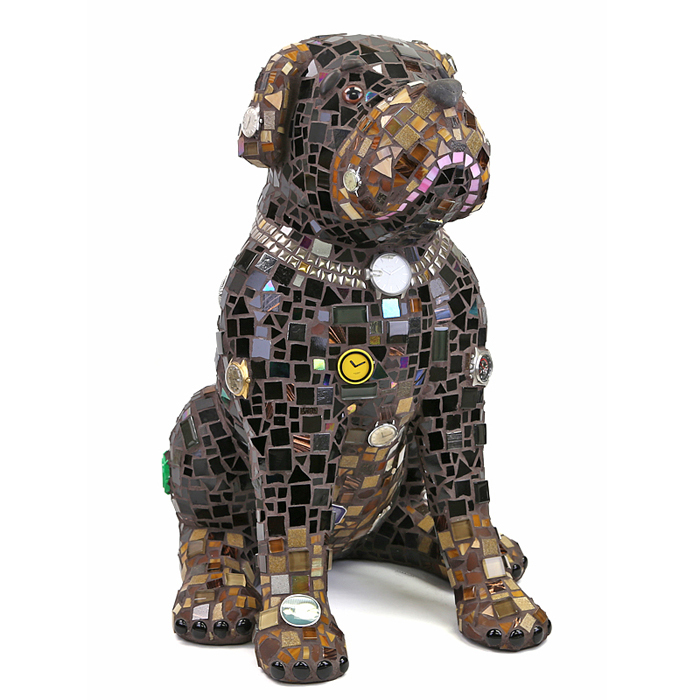 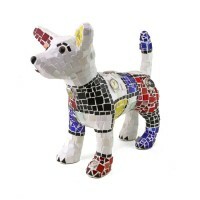 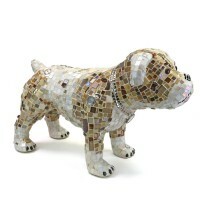 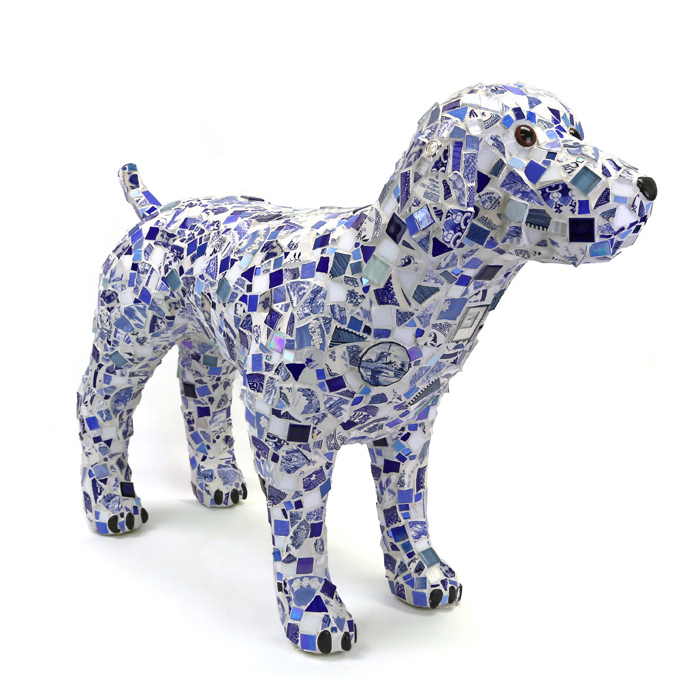 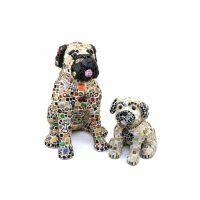 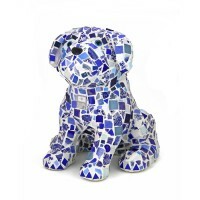 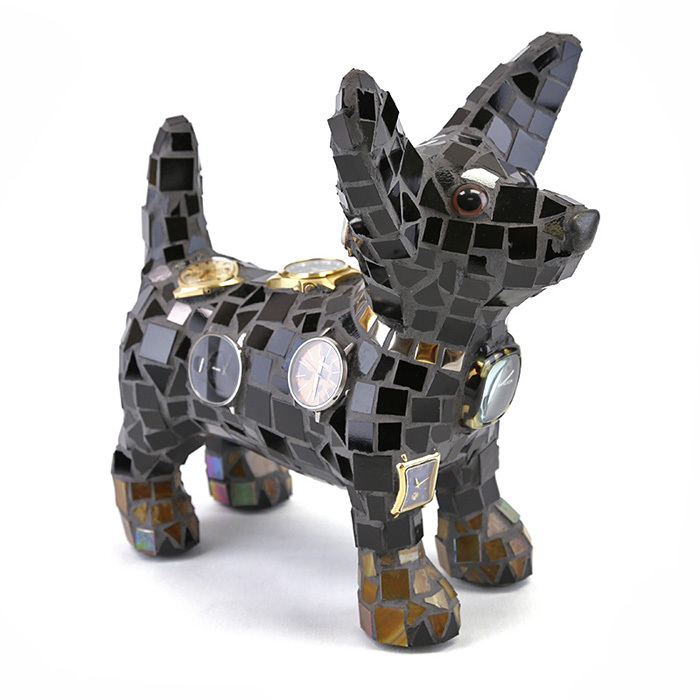 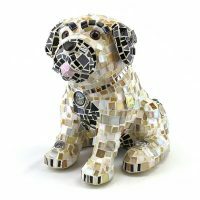 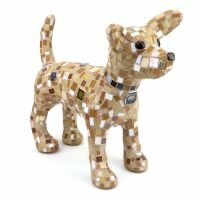 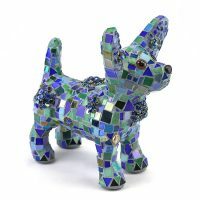 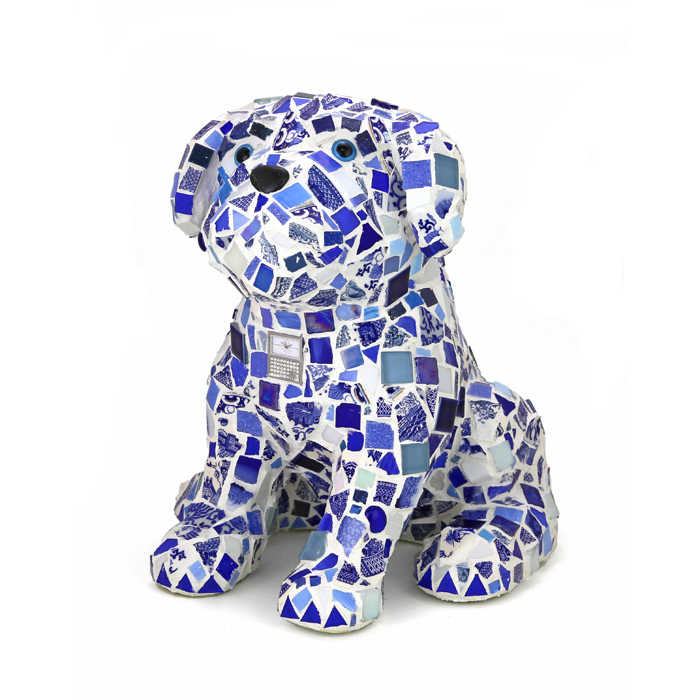 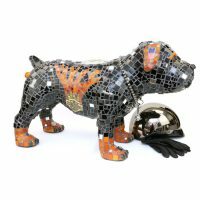 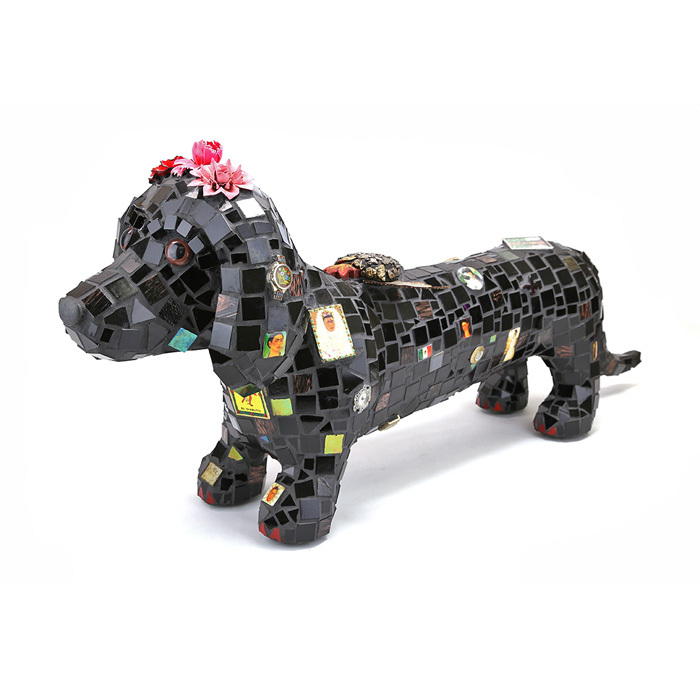 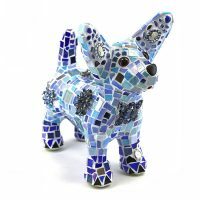 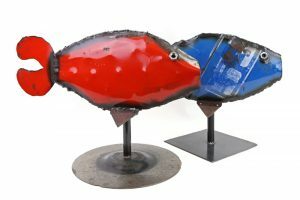 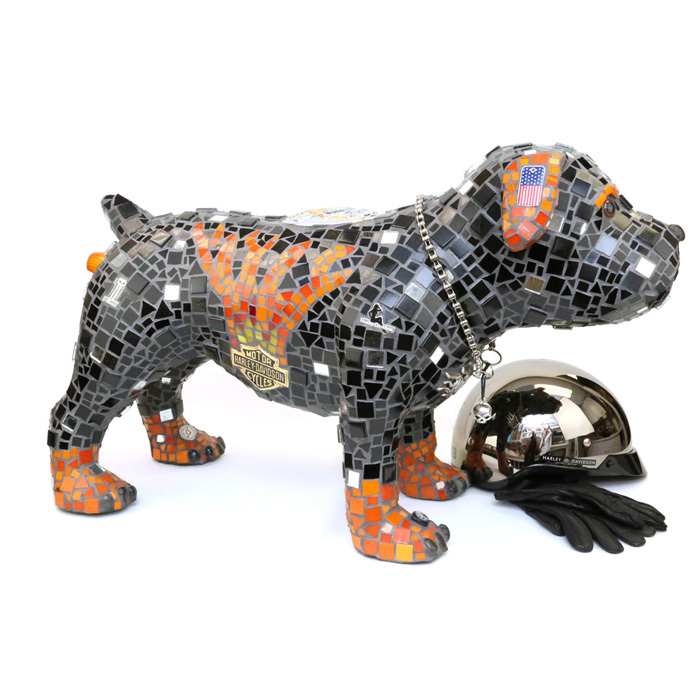 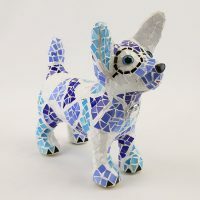 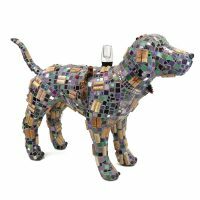 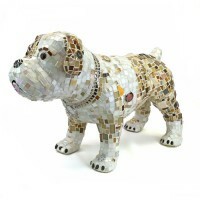 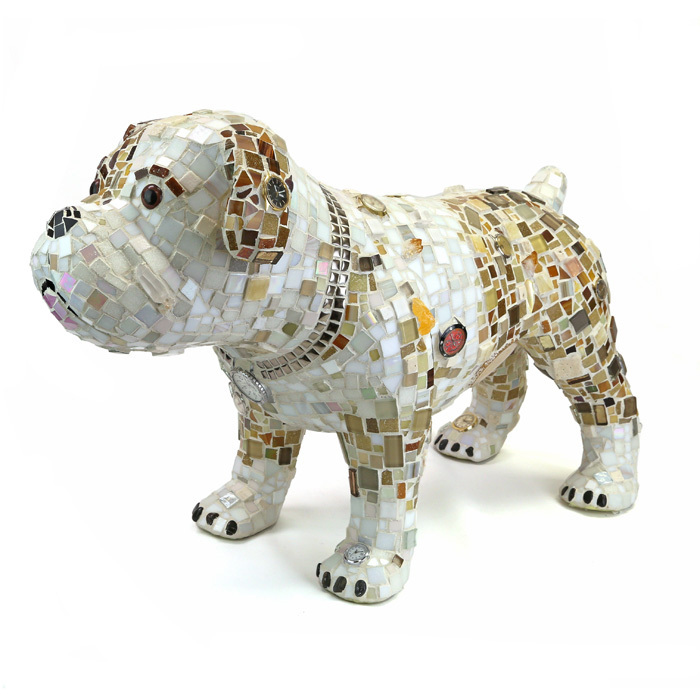 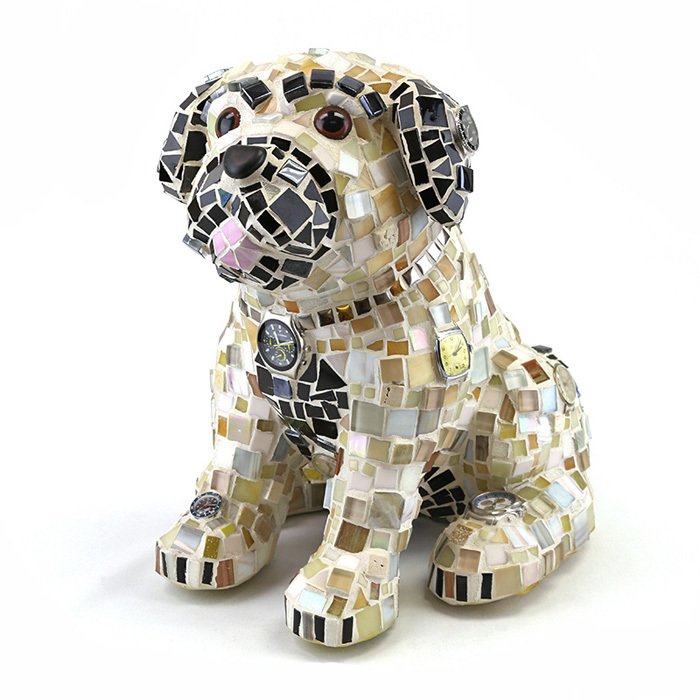 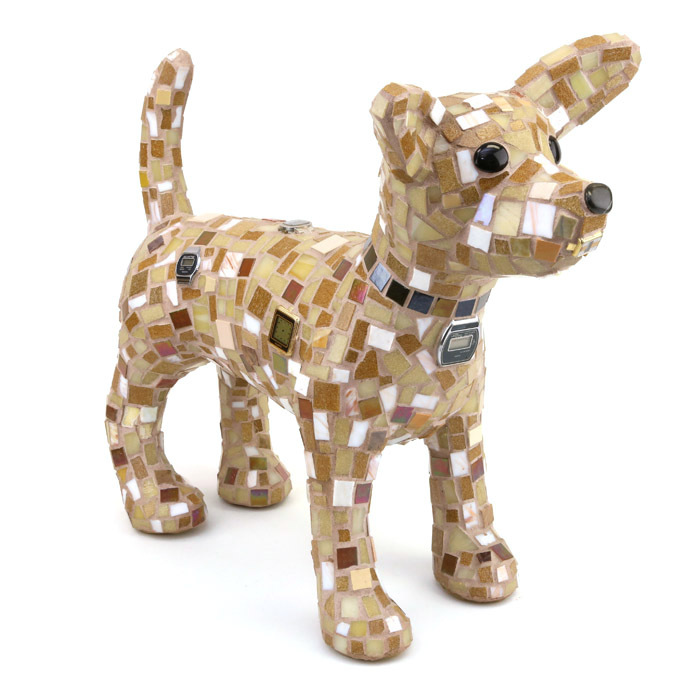 Her life-size mosaic “Watch Dog” sculptures caught the attention of the LA art world, and many have found homes among Hollywood celebrities. 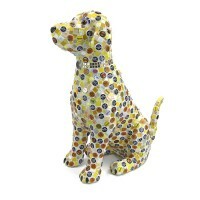 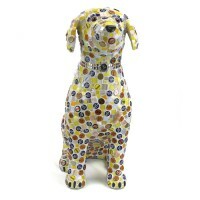 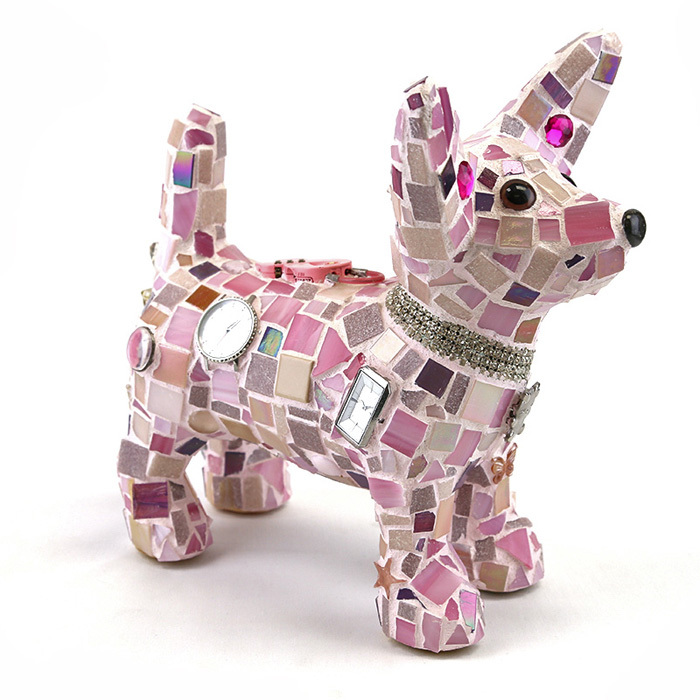 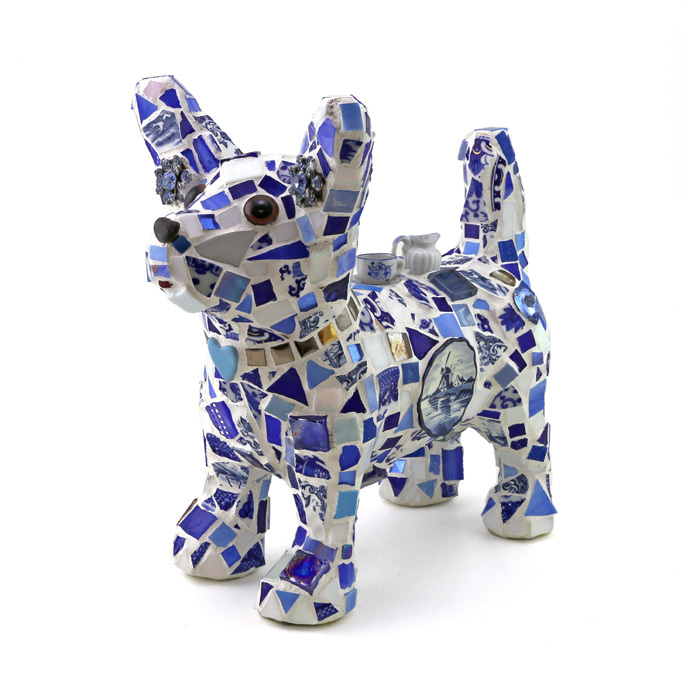 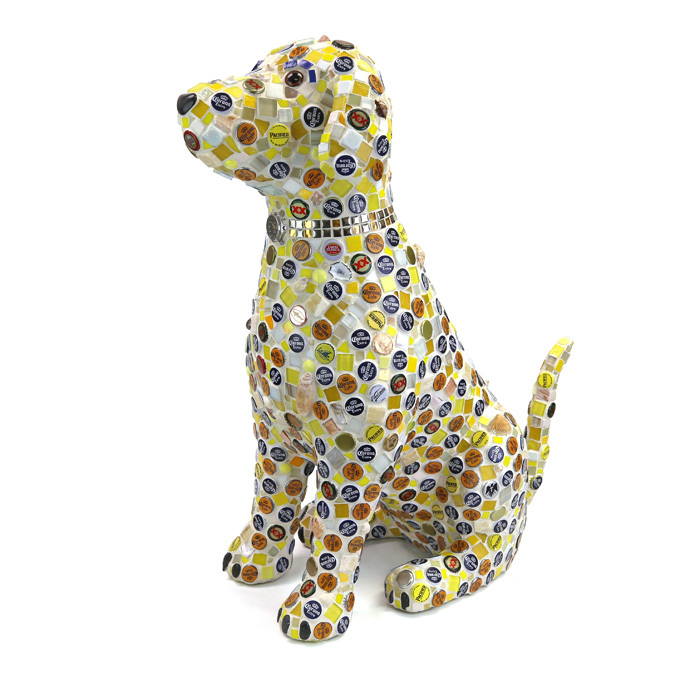 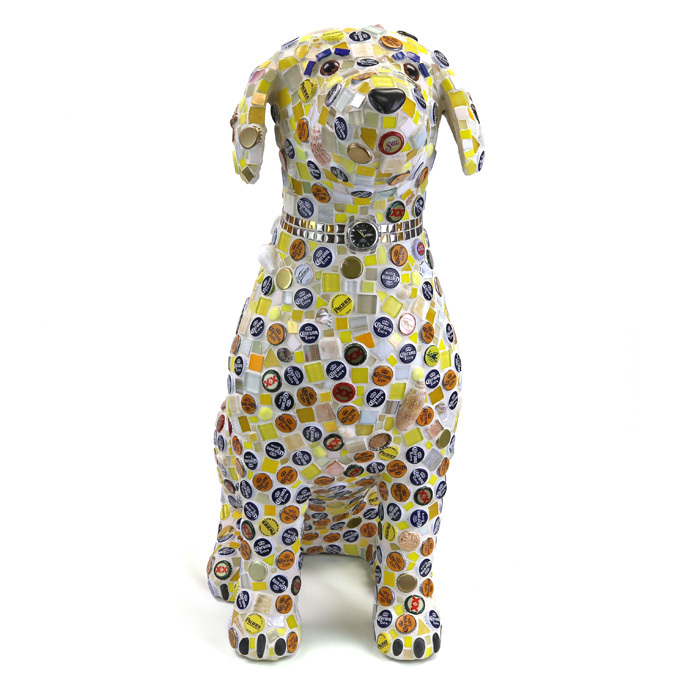 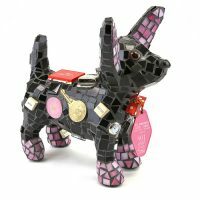 Each dog contains at least one vintage timepiece, and often vintage jewelry and collectibles. Choose from one of our pack, or commission your own with personal mementos from your own collection.